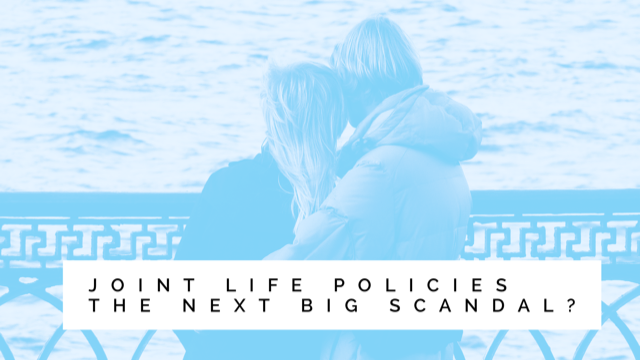 Joint life policies – the next big scandal? Eric Purdy shares with us why he thinks we should stop recommending joint life policies and focus instead on single plans. For a considerable time, there has been a low-level debate within the Industry about whether the purchase of a joint-life first-death/disability policy represents good advice for customers. With the arrival of the much heralded Insurance Distribution Directive (yes, the FCA will implement it), buying a policy which effectively limits cover to 50% of what could be available is likely to fail the ‘acting in the customers’ best interest’ test. There is the argument that it is the cheapest way to provide cover for two people in the event of death or a critical illness where cover is wanted to protect a mortgage or something similar, and where cost may be a driver. However, the real problem lies in the Industry’s attitude and reluctance to change – “it is not broken; it is cheapest and we can justify it to the Regulator/Ombudsman; customers don’t want it” and so on. The product is inflexible and leaves customers who have not claimed without any cover once a claim is made. If they are then in poor health it may be that cover is unavailable and/or too expensive for them to afford. Stop selling this product and start selling single life policies. What about all the downsides of selling single life policies? Extra admin? Do be serious! There may be a little extra work but not hugely so. It will take longer to explain. Bite the bullet and put your customers first. The Ombudsman may not agree. And?… the Ombudsman disagrees with a lot of what we do but even he/she would have difficulty in finding against selling too much cover. What surprises me is that there has not been a mis-selling complaint already. Putting your customers at the centre of the business – often paid lip service but how many of us actually practice what we preach? Not a huge increase in cost (I’m sure the providers will disagree as it may affect their profits slightly) but a huge increase in cover for the customer. How can we genuinely believe that providing a product which effectively gives half the cover that could be available (albeit though slightly more expensive) is acting in the customers’ best interests? It cannot be and is the classic example of knowing the price of everything and the value of nothing. Would you recommend one of these contracts to your children? There still remains a place for joint-life first-death contracts (such as business loan covers) but not as a mass market product. We, as an industry need to act now before this potentially becomes an even bigger issue than PPI: “I was not told that I would have no cover if my husband/wife/partner died or claimed” and the ambulance chasers and the opportunists jump on board and make our lives a misery all over again. We should also be looking at the present situation for issued policies where on a joint-life policy which has life and CI benefits we can pay on multiple CIs but only on one death. We should also be looking at the common benefit requirement for Excepted Group Life policies which can lead to setting up multiple policies where one would surely suffice. HMRC needs to revisit these anomalies and correct them so that people are not disadvantaged. I've written this piece to generate debate. So howls of protest, views, dis/agreements and abuse in the normal way please.